1. The text across the bottom states: "DESIGN COPYRIGHT, 1908, BY M.W. TAGGART, N.Y." According to the Metropolitan Postcard Club of New York City, M.W. 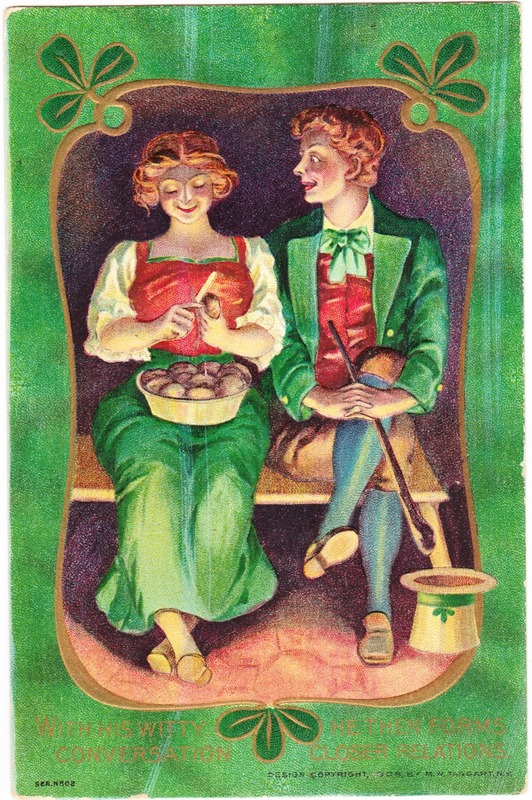 Taggart was in business from 1905 to 1910 and was "a large publisher of greeting and holiday postcards many of which had humorous or patriotic themes. Seaside cards and those depicting Blacks were also common. Many of their postcards were embossed."